The depth of places popping up in and around Perth is incredible at the moment. I used to enjoy coming to this part of Waratah Avenue but now it is an even greater pleasure. Yabba Dabba is a fun name but this is a serious breakfast proposition (they also do lunch and dinner). The fitout is attractive in every sense of the word and it is attracting the locals in spades. This morning we are on the previously newspaper laden table that is probably used for a comfortable wait for takeaway coffee and it is a great spot! Close to the door letting in the oddly warm winter air and the action along the street and in the restaurant. 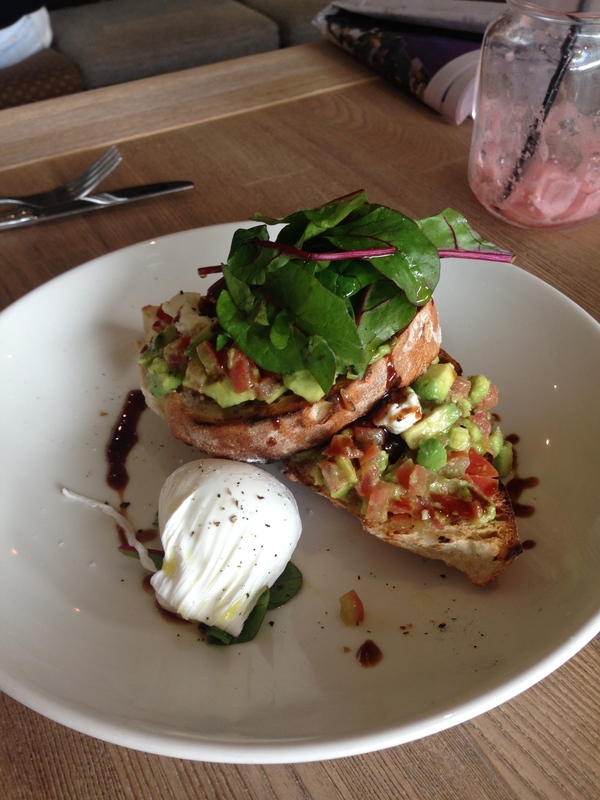 Breakfast is modern cafe standard with avocado toast, good quality bacon and eggs, and a few interesting dishes thrown in too. The waffles look amazing but we were indulging big time last night and that is not happening this morning! I am torn between the beans and a much whackier dish. 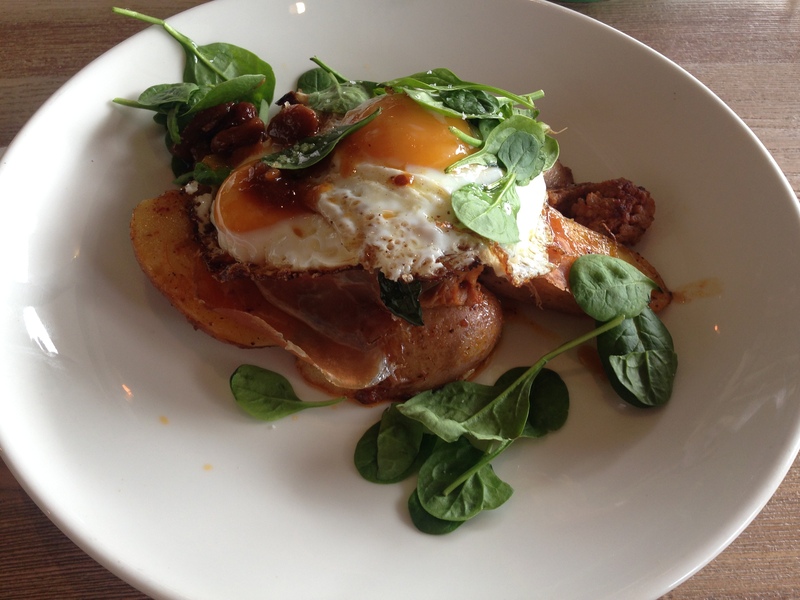 I opt for the potatas bravas with fried eggs on top of jamon and spicy chorizo scattered thoughout. Yabba Dabba! It is delicious. Potatas Bravas is not the classic breakfast choice but a well constructed one and had the classic Spanish spicy and creamy sauce thrown in. The only improvement would be poached eggs rather than fried so there is more yolk binding the other elements. The other dishes are bright and flavoursome and show that there is consistency here. Hopefully that also translates to the pizza served later on in the day. 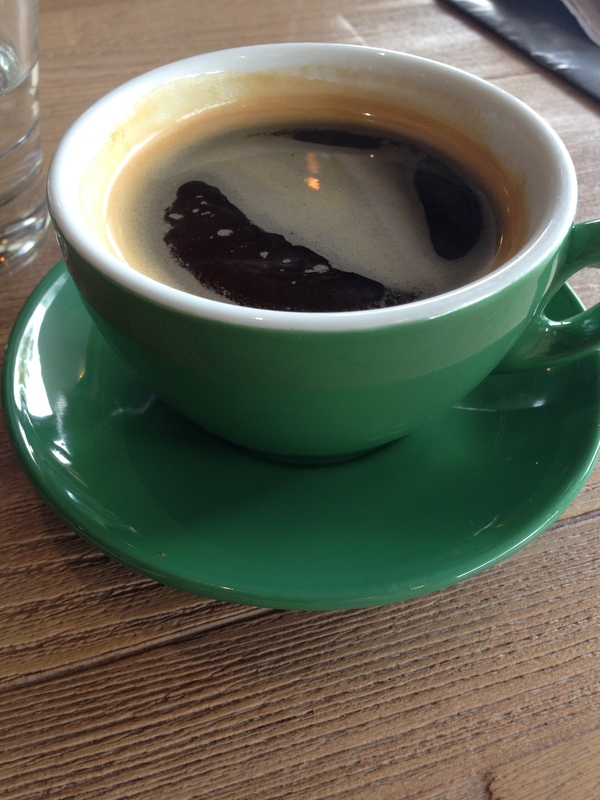 The coffee is pretty good, especially once I ask for my long black not to be so full. They have a nice and fancy Synesso machine so that’s a start for sure. Yabba Dabba is a cool place in a rather expensive area. It has captured the locals and I’m sure it is starting to get busier and busier. It’s a great step for this village and is to be applauded.